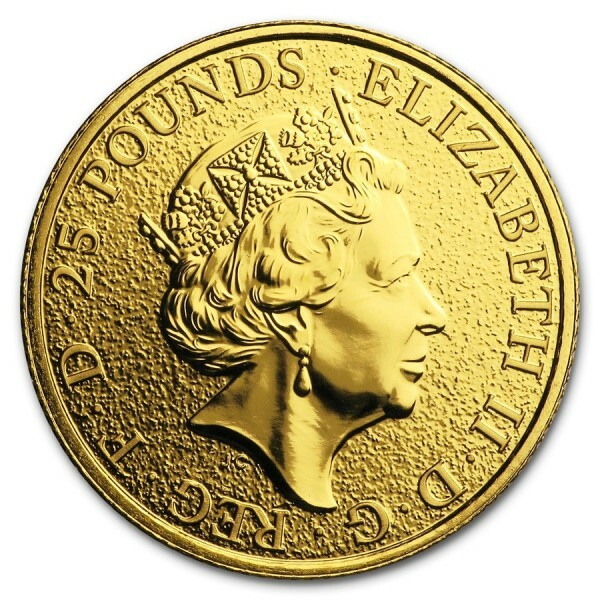 The Queen’s Beast contains 1/4 oz of .9999 fine Gold and celebrates the British Monarch. 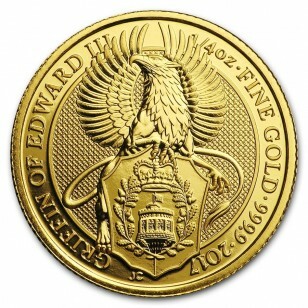 The shield on the coin shows the castle, where Edward III was born. 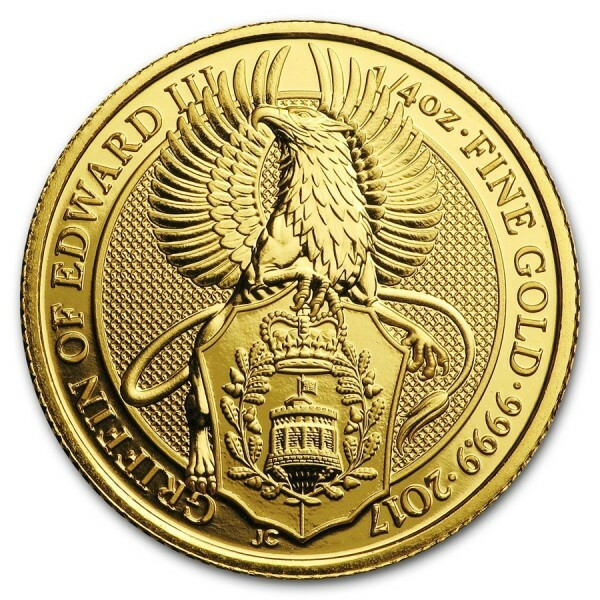 The griffin of Edward III Queen's Beast is a beast from ancient mythical times with the body, back legs and tail of a lion, wings, head and talons as its front feet from an eagle. It was said that The Griffin was the king of all creatures.